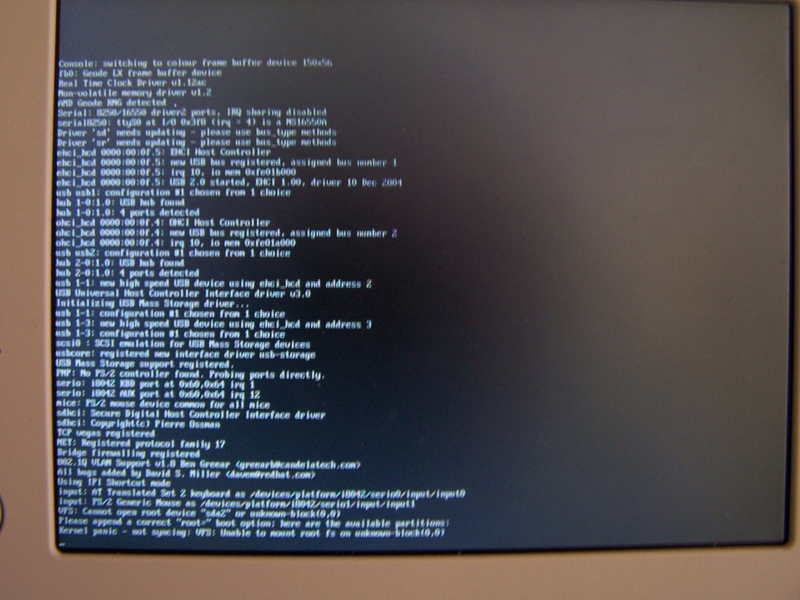 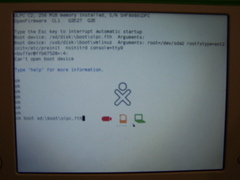 OpenWRT on the One Laptop Per Child (OLPC) - .[ZooBaB]. 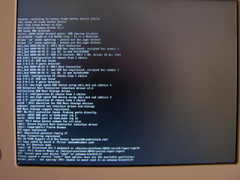 Download the ext2 image here (52 MB). 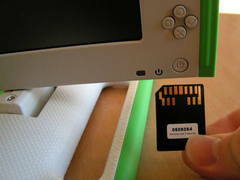 I put the SD card into an USB card reader and connect it to the XO. 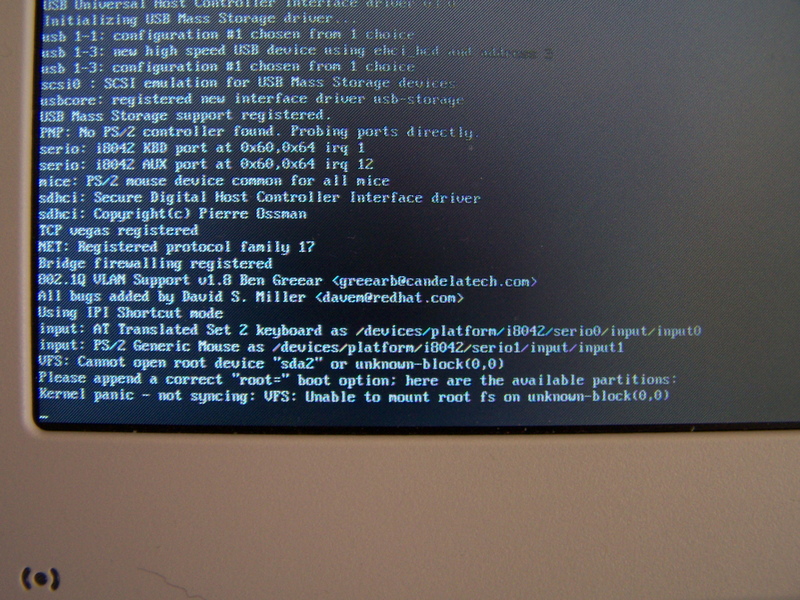 The squashfs image (with USB reader of via the SD card reader) gives the same errors. 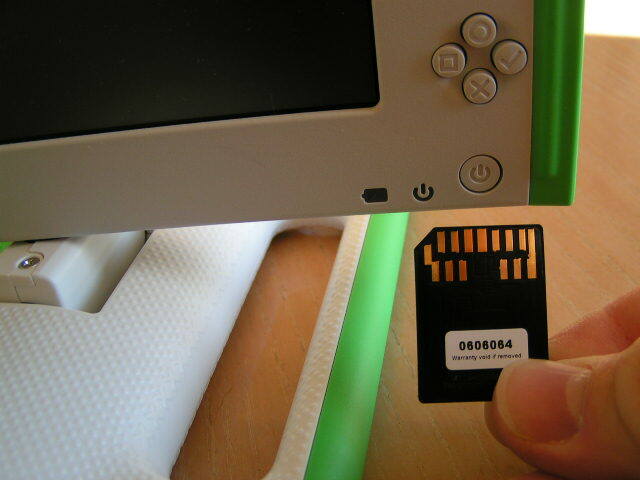 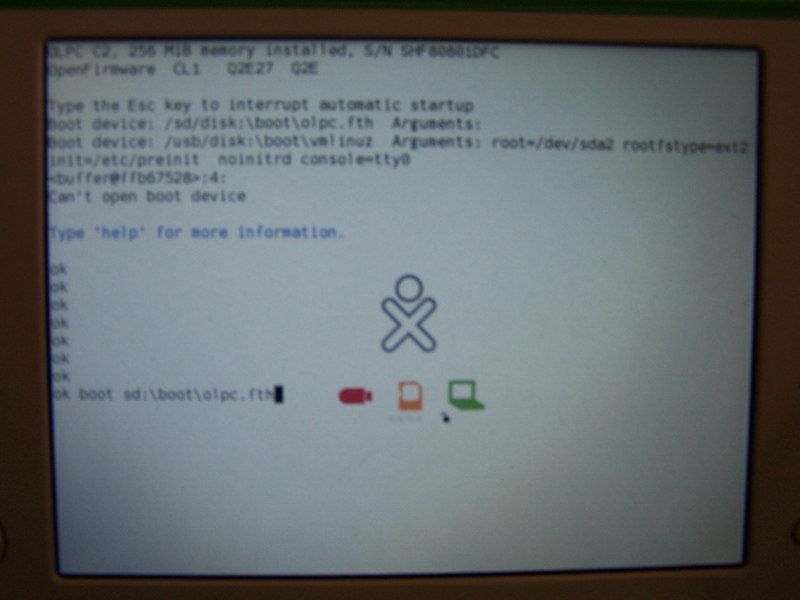 I have submitted a bug report on the dev.openwrt.org system: Ticket #4574 (new defect) Kernel of the OLPC image on SD card does find the root partition on sda2.